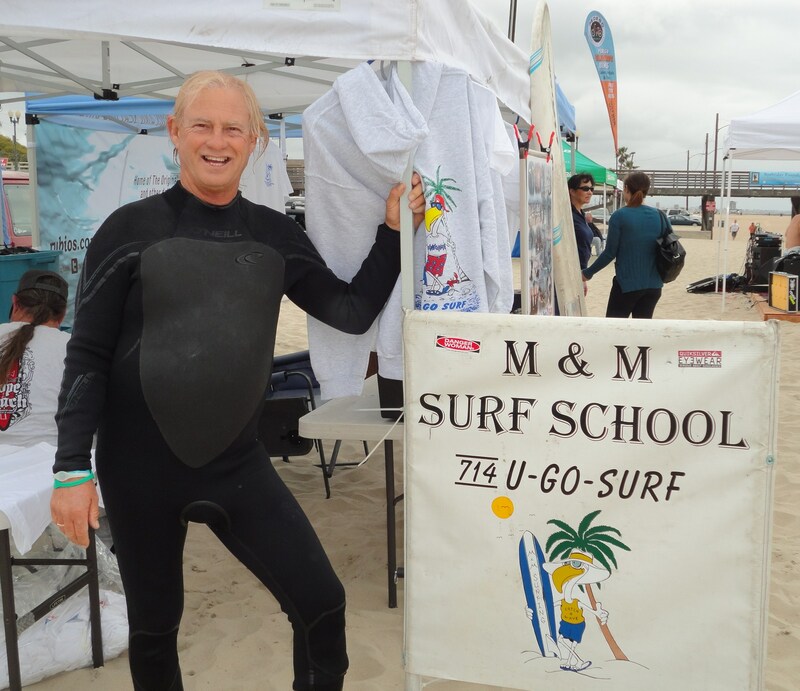 Michael Pless Sr, of the M & M Surfing School in Seal Beach, is in the spotlight now that the Orange County Register’s Register Book Club choice for October is Peter Heller’s book KOOK: What Surfing Taught Me About Love, Life, and Catching the Perfect Wave. 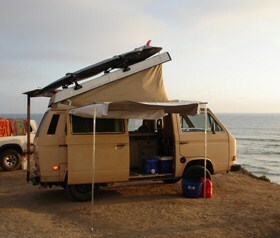 Pless is the one who showed non-surfer Heller how to ride a surfboard…launching the 40-something-year-old on a 6-month surfing road trip in a vintage VW van. 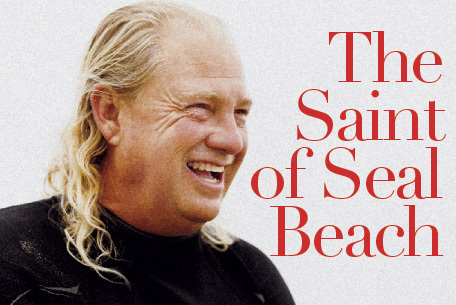 As Heller writes in his book, “A man of indeterminate age with sun-bleached blond hair past his shoulders and a big, round belly got out, saw us and smiled. 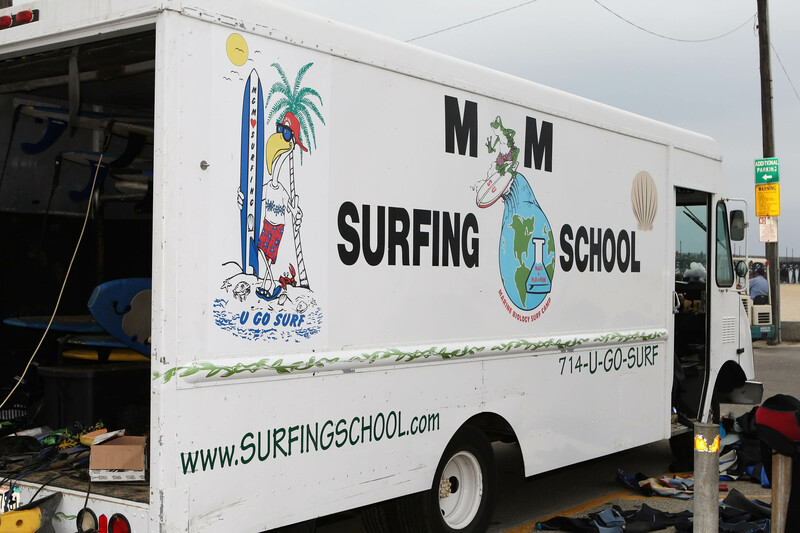 The side of his van was painted with a Joe Cool pelican in shades holding a surfboard and the words M&M Surfing School. 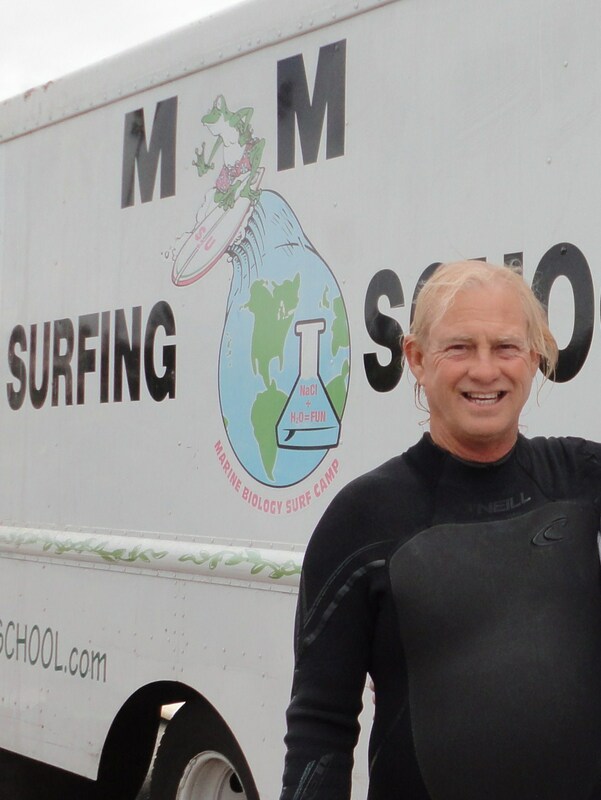 Heller, who’s written articles for outdoor magazines and authored several books, turned this chance meeting and his surf lessons into a surfin’ safari and a book chronicling his mid-life journey down the Cali coast to Baja California. As for Pless, this isn’t his first brush with fame. 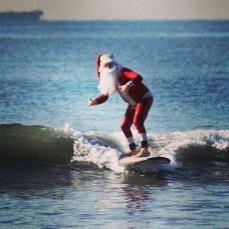 He is already known as the Surfing Santa for his exploits during the holidays when he dons a red wetsuit, Santa hat and beard and surfs the waves in Seal Beach. 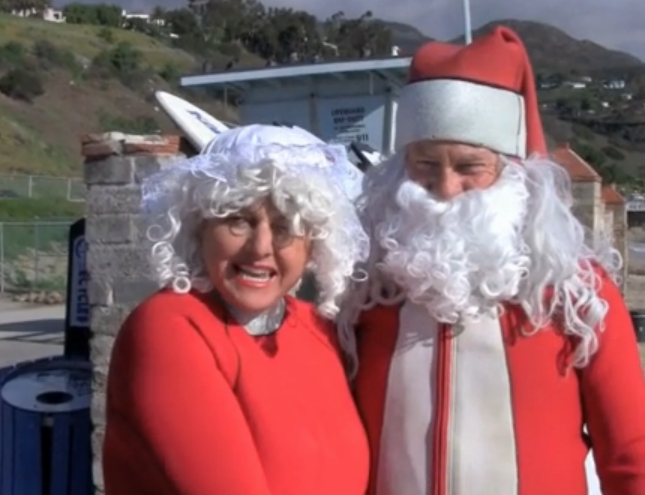 He even gets his wife Jill on board as Mrs Claus. 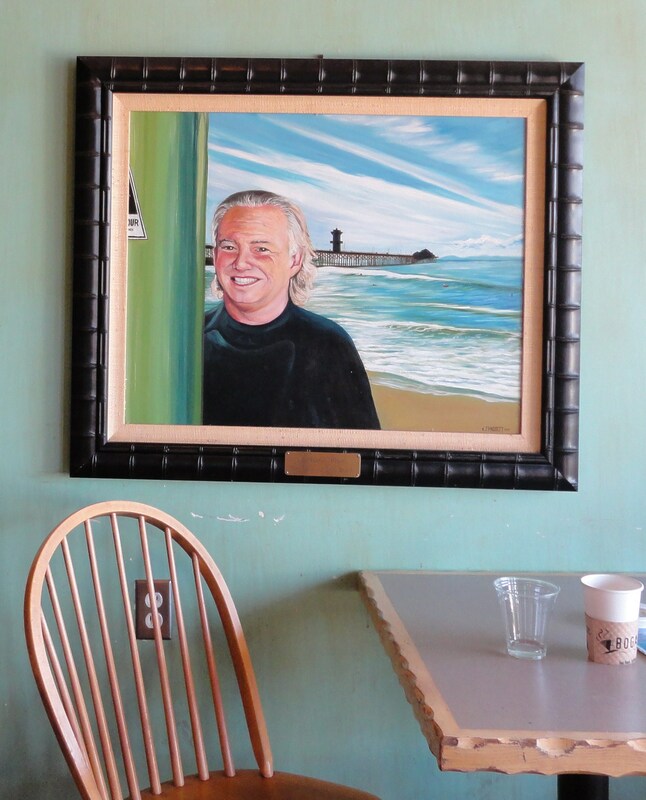 And, a painting of Pless, also known as The Saint of Seal Beach, hangs on the wall at Bogart’s Coffee House across from the Seal Beach Pier. 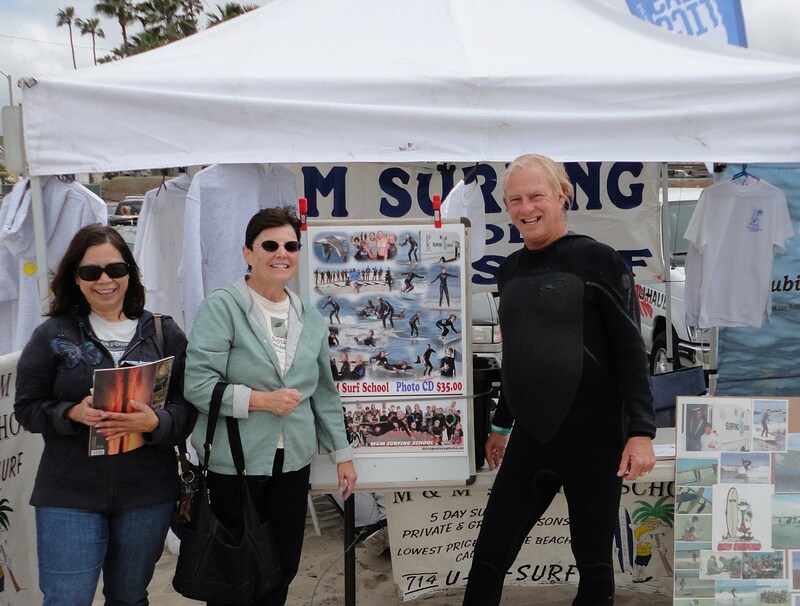 SurfWriter Girls Sunny Magdaug and Patti Kishel are glad that Pless is getting his due once again as Seal Beach’s own Chairman of the Boards. 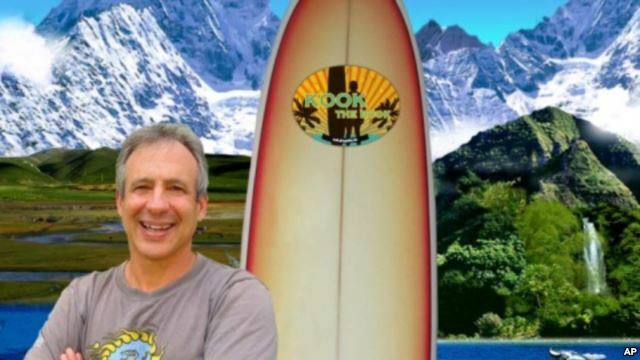 If you want to get the inside story on KOOK, check out the Register Book Club. 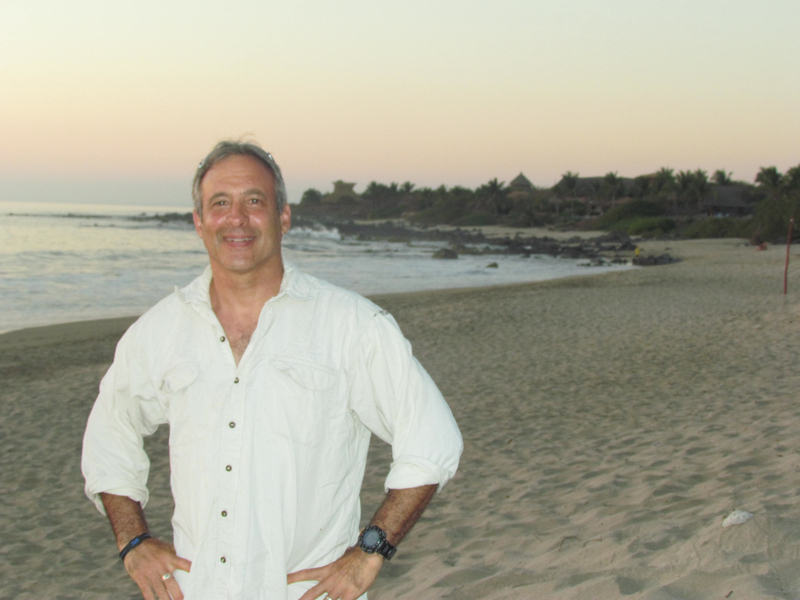 The newspaper is holding an Evening With The Author Event on October 20, from 6 – 8 pm. Serendipity can make your wildest dreams come true! 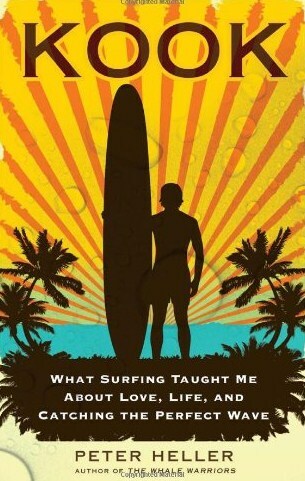 It seems there are other surf nuts like me!